A 4 year old Whippet / Dutch Shepherd from Broadstone who regularly walks at Delph Woods and Hamworthy Rec. 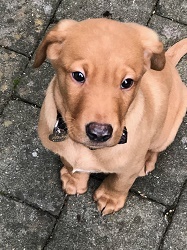 This 2 month old Red Labrador from Bournemouth walks at Queens Park Golf Course, Strouden Woods, Stour Valley and Throop local beaches. Anna told us that a favourite walk is near the Golf Club at Hengistbury Head. A stroll along the paths by the river, enjoying the views of Christchurch finishing off at the Golf Club Cafe for a bacon butty. Ellie is a 9 year old Labrador who lives with Shelby. 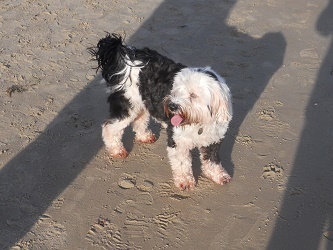 Patricia Jean says that Ellie and 5 year old Tibetan Terrier, Shelby, love the beach and also the Milldown in Blandford where they have a couple of special friends. 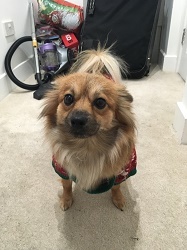 Duke is a 5 year old Pomeranian cross. Sno-B a 4 year old Bichon Frise cross lives with Duke. Sno-B and Duke are rescues. Mervyn and Mo told us that they love a car ride to anywhere but sadly at the moment walking is an issue and they are working on training. 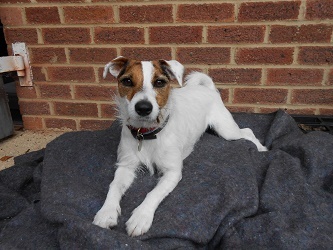 Betty is friendly with all the dogs and people she meets and she loves children. 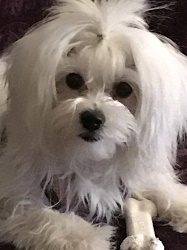 This 7 month old Maltese cross from Christchurch enjoys walks along the River Stour and the New Forest. Coco is a medium mixed breed who looks like an Australian Shepherd Dog, a Romanian rescue who was 1 in January. Helen told us that she is a very loving dog. Coco loves attention and other dogs. 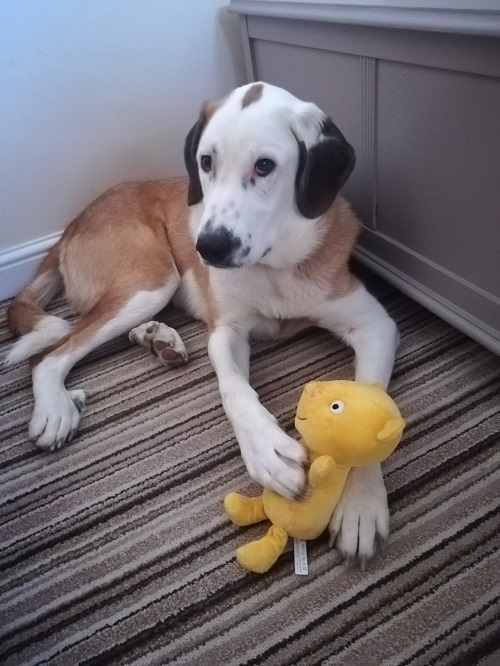 She has had a better start in life than most of the rescues as she was dumped when she was 2 months old with one of the rescuers from charity ‘The Pack Project’ so had never been on the streets or in a pound. Coco walks at Upton Country Park, Southbourne Beach, Canford Heath, Whitecliff and Baiter Park, The Purbecks and Badbury Rings. Bethan says of Lola that she is a very active pooch. She loves walks, sniffing about and playing. 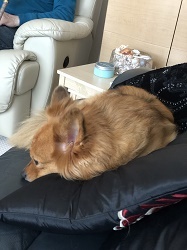 Lola is a 3 year old German Spitz Kline and as she is very fluffy she needs somewhere with a water source to cool off in the Summer, and would recommend walking Bournemouth Gardens to the Coy Pond in the Summer, Stour Valley in the Autumn / Winter. Milly is a 2 year old Spanish Mastiff who loves her walks. Juliet told us that she is a fast runner! Milly regularly walks along the Trailway between Charlton Marshall and Spetisbury. She loves meeting other dogs and to run along the banks of the River Stour in Spetisbury. This 6 year old Jack Russell has recently been hiking in Switzerland! 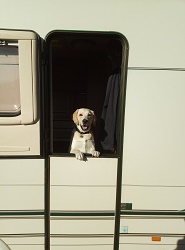 Ruby also enjoys walks at Badbury Rings, Moors Valley Country Park, New Forest, Sandbanks Beach, Branksome Beach, Southbourne Beach and would recommend Studland Beach as a great dog walking site in Dorset. 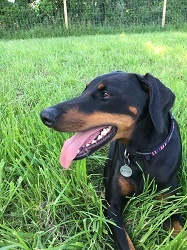 Daisy is a 6 year old Doberman from Weymouth. Sharon describes Daisy as a lovely girl and full of beans. She has the sweetest nature and is always pleased to see you. Daisy walks in Lorton Nature Reserve (come rain or shine), Curtis Fields and occasionally Eva’s Green. A 15 month old Labrador who is never happier than walking in the fields and playing fetch with a ball. Rocky is a 9 week old Border Collie, a big bundle of joy and extremely active, who enjoys walks on the beach and Slades Farm. 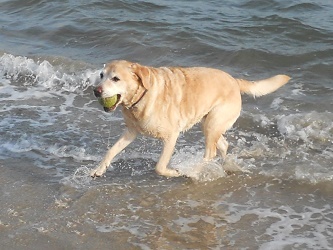 Samson the Labrador loves sticks, balls and swimming. This 7 year old from Bournemouth currently enjoys walks at Hengistbury Head but will soon be moving to Upton. Ellie a 7 year old Whippet regularly walks around Shaftesbury, Ham Hill, Badbury Rings, Knoll Beach and Sturminster. 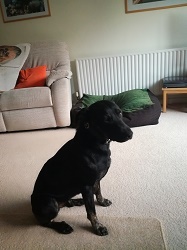 Sarah told us that Ellie is a great fun dog, full of character and mischief.